With the influx of foreign boxers from Africa and other countries fighting in South Africa, it is possible that local fighters are put at a disadvantage by having less fights in a year and fewer SA title fights, due to the number of non-South African boxers now dominating some fight cards. In the period from January to August 2018, there have been 308 fights involving 616 boxers in South Africa. A breakdown of the 616 boxers shows that there were 491 (79.7%) South African fighters and 125 (20.3%) foreigners. The calibre of foreign fighters should also be given attention, as there were more foreign losers than winners. At one time, challenging for or winning a South African title was considered the highlight of a boxer’s career. However, with the multitude of belts available such as the Intercontinental, International, Pan-African, African Boxing Union and All Africa titles on offer, and the large number of foreign fighters from Africa on local fight bills, the South African title has suffered. Including Rowan Campbell’s winning fight against Renson Hobyani for the vacant South African super-middleweight title on 10 August, and if you include the interim middleweight title bout between Wade Groth and Wynand Mulder, there have only been 10 South African title fights in the 17 weight classes. It is rather alarming to note that of the 17 South African titles on offer, there have been no fights for the title in the junior-heavyweight, light-heavyweight, junior-middleweight, welterweight, lightweight, junior-featherweight and minimumweight categories. Another indictment of the current situation of boxing in South Africa is that, of the 11 “world” title fights involving South African fighters this year, only seven were in held in South Africa, which were for the IBO and WBF belts which are considered minor organisations. 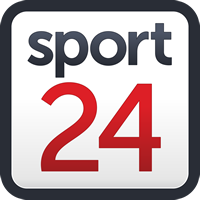 Only three world class South Africans, Zolani Tete (WBO), Hekkie Budler (WBA) and Moruti Mthalane (IBF) hold a belt from one of the major organisations, having won them outside of South Africa. Due to the low rand value against the dollar and the pound, it is almost impossible for local promoters to stage fights involving the WBA, WBC, WBO and IBF belts, because the cost of importing top fighters to the country becomes exorbitant. The statistics have been provided by boxing record keeper and statistician Andre de Vries.